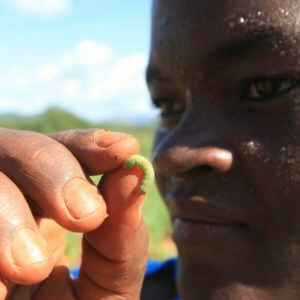 Fall armyworm (Spodoptera frugiperda), an invasive insect which had severely affected maize crops in Africa has now spread to fields in [India]. 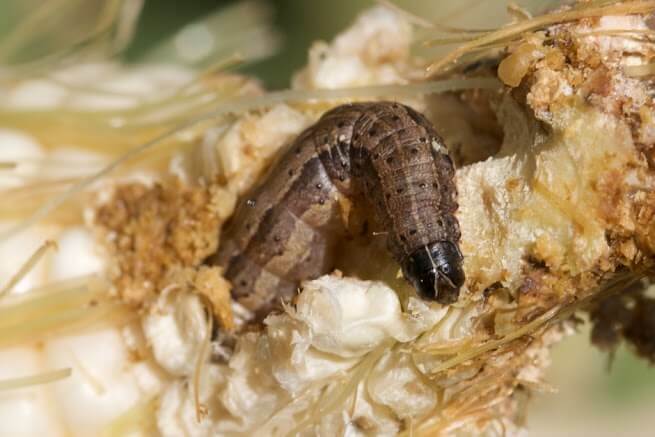 The Indian Council of Agricultural Research-National Bureau of Agricultural Insect Resources (ICAR-NBAIR) members found fall armyworm in maize crop during the second week of July in [the] Thanjavur district of Karnataka. The officials have suggested [the] introduction of bio-pesticides such as beauveria bassiana, bacillus thuringiensis (Bt) and metarhizium anisopliae to stop these pets from spreading. They also advised integrated pest management methods like summer ploughing, split application of nitrogenous fertilizer, synchronized early sowing and destruction of egg larvae in fields. An …. 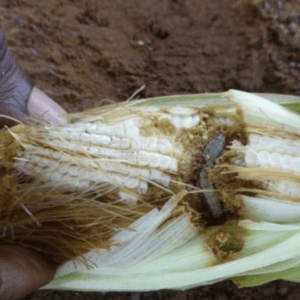 Agriculture department [official] said “The pest was found in a maize meadow in Nainankulam in Pattukkottai taluk in a 20-day-old crop”. 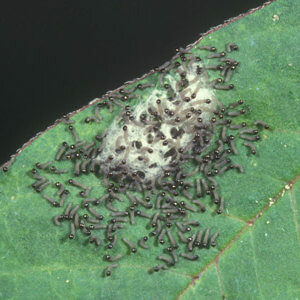 The pest eats away the chlorophyll of the plants turning the leaves white, said the official.